As an initial title to emerge from this framework we were keen to know more, so we caught up with BLOK DROP U's creator, Michael Aschenbrenner. He's told us that this title — unsurprisingly given the name — will be a Wii U exclusive, and in an interview to be published in full tomorrow explains how he got started in game development. In terms of using HTML5 itself within this Nintendo Web Framework on Wii U, the following is an excerpt of Aschenbrenner's explanation. Basically it (HTML5) is a web-based programming language. The same type of code that generates websites can now be used for interactive entertainment. ...Of course none of this would be possible without tools and documentation from Nintendo. Most of the code is natural HTML5, but there are situations when hardware or services must be called into your project that require specific Nintendo API's (application programming interface). Aschenbrenner also describes his experience of working on Wii U as "easier than I anticipated", and explains his plans for a budget price and free updates to drastically increase the amount of content on offer. Plan is to release in Q1 of 2014 for the North American markets at $1.99. The project has been submitted to NoA for review as of this writing. I am also working on a release for Europe and Australia, but that may not hit the Q1 timeframe and instead slip into Q2. No plans to launch in Japan, unless there is a publisher that would like to bring it to that market! I do have plans to add in 20 FREE new stages in Q2/Q3 2014, with a final batch of 30 FREE additional stages in Q4 2014. Bringing the total number of stages in the game to 80 with no increase in price. The full interview — including more details on the game, Nintendo Web Framework and Aschenbrenner's route to development on Wii U — will be published tomorrow. In the meantime let us know what you think of this project in the comments section; the latest trailer is below. When I heard about Nintendo's web framework I started to think that if Nintendo brings that to the 3ds then it may completely turn the tides of what people think is going to happen with smart phones. 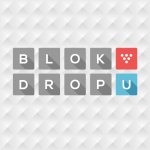 BLOK DROP U looks interesting... I want to get that indie game!! I wonder if they allow google ads in those Nintendo Web Framework games. It would certainly be a good thing to have all those free games with a touch screen and TV display. Heh, there are times like this news article that just gives me renewed faith on the WiiU. Dat Web Framework. I doubt they will allow google ads, cause why do we have to see advertisements during gameplay? Looks like Nintendo has found the solution to their Cheaper Software problem. I can't wait to see what the other 2199 reported developers come up with. Looks like a fun (but ugly!) game. How is this an ugly game? @ShadowWolf598 Are you arguing it's a good-looking game? Never mind, I thought your being sarcasm at first. Holy heck. The images make it look boring, but in motion it looks insanely fun. @Philip_J_Reed Yeah, it looks like it'll be a fun, albeit short game. As a person who used to own an Atari 2600 and liked it I can say that 8-256 bit graphics aren't always necessary to make a game fun. Will depend entirely on the Australian price. 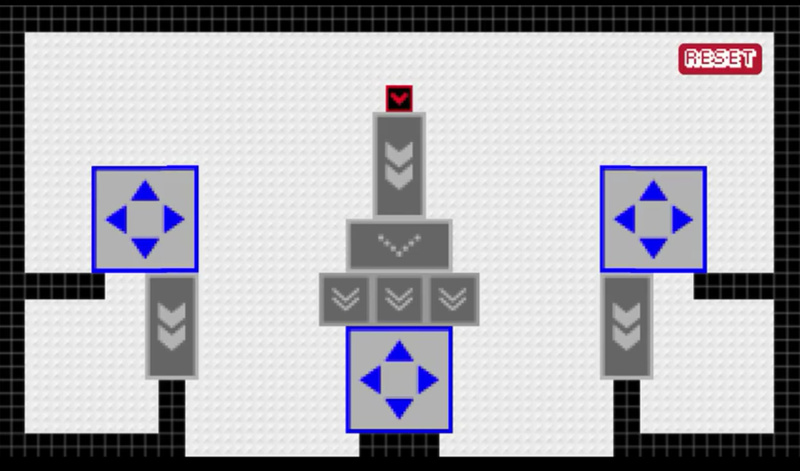 Physics based puzzlers are not my forte. This isn't a major third party AAA release, therefore, it's crap! Also, the Wii U is a gimmicky console for kids and Nintendo is ded! I commented on an earlier article about this game, being a bit dismissive of the project and worried about Web Framework if this was the result, and the dev himself came on and responded, which I appreciate. To be honest, this new video gives off a much more appealing vibe than the earlier preview. At 2 bucks it could be a nice little distraction. Will be curious to hear what he has to say. The easier it is for all kinds of developers to make games for your system, the wider variety of games you'll get. This is great for Wii U owners and gamers in general. Nintendo is doing well for itself with the Web Framework stuff, and also doing well for gamers and indie devs. This game is not possible to find on european eShop.